Please contact AMG Market | Mercedes-Benz Enthusiasts by leaving a comment on the particular content page, which notifies us of your feedback and/or question. Also, we are adding a large photo gallery of AMG Mercedes-Benz vehicles to the site – we prefer AMG enthusiast’s photos but we’ll add Mercedes-Benz AMG stock photos to complete the list. 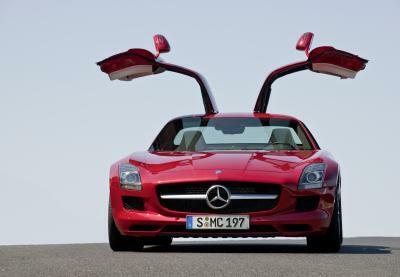 If interested, please send us a photo of your AMG as an email attachment (send to: greg”at”amgmarket.com). Please include the details for your AMG (year, model, etc.). Let us know if you have any questions. Your comments and feedback are appreciated. We respond to all comments as quickly as possible. Again, thanks! NOTE: You are encouraged to contribute to the AMG Market. Please leave a comment and participate in the AMG Market Blog. In addition, we accept articles, pictures, and relevant content provided by our readers – complete the form above and we’ll contact you with details.